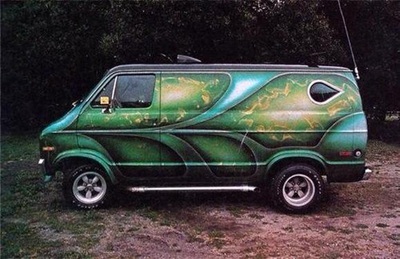 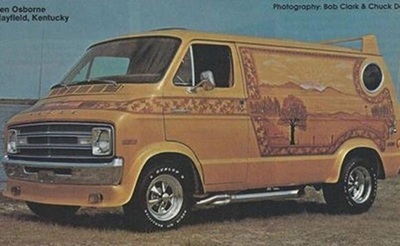 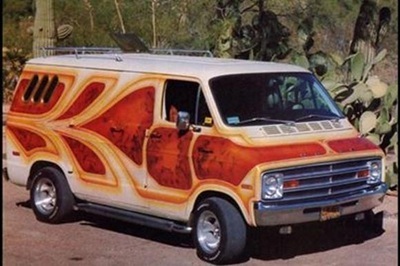 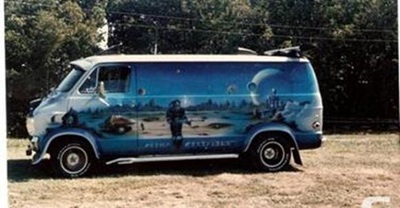 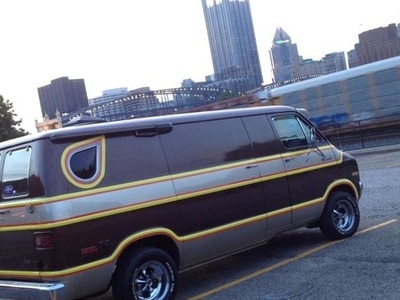 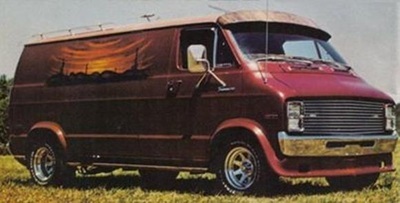 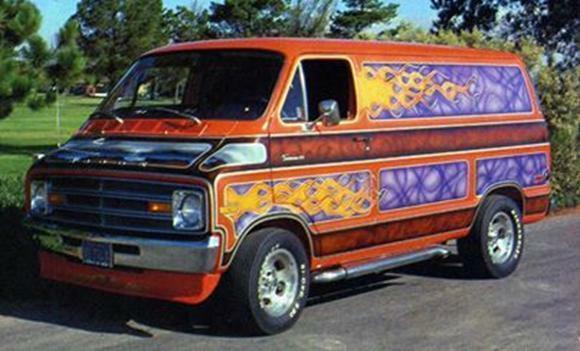 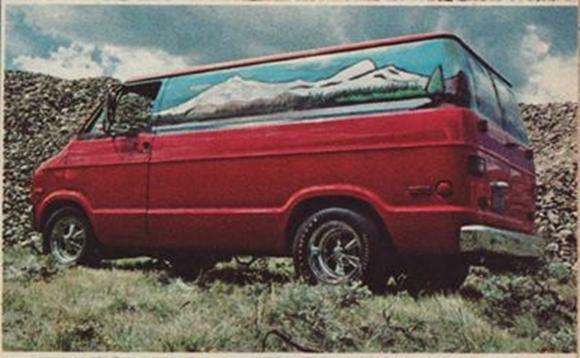 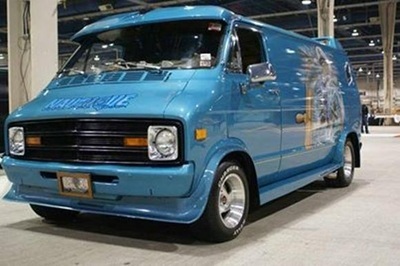 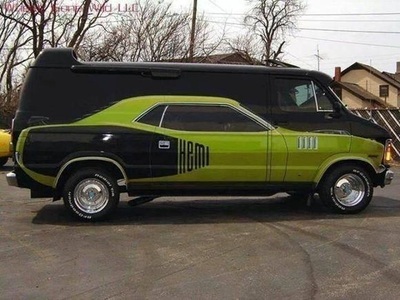 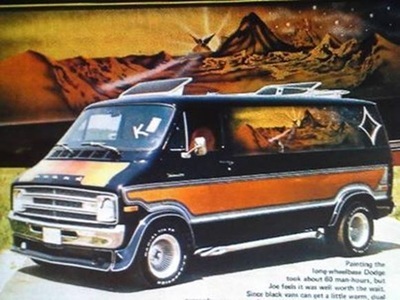 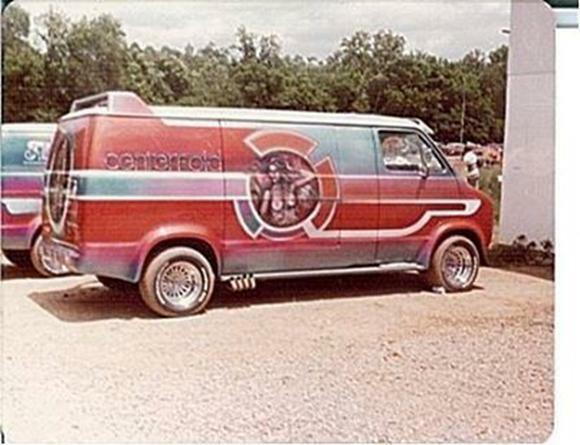 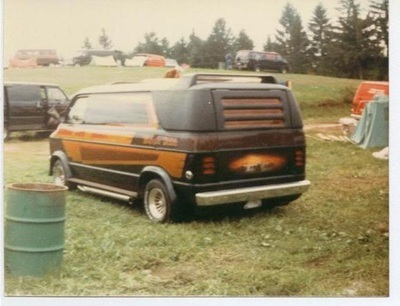 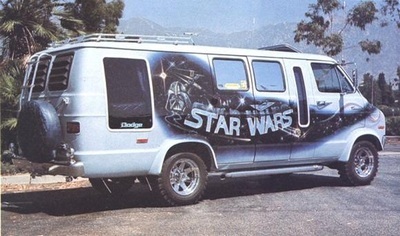 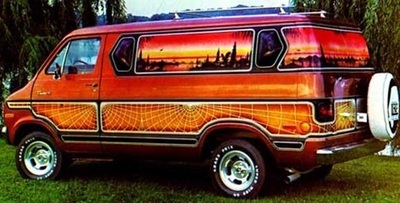 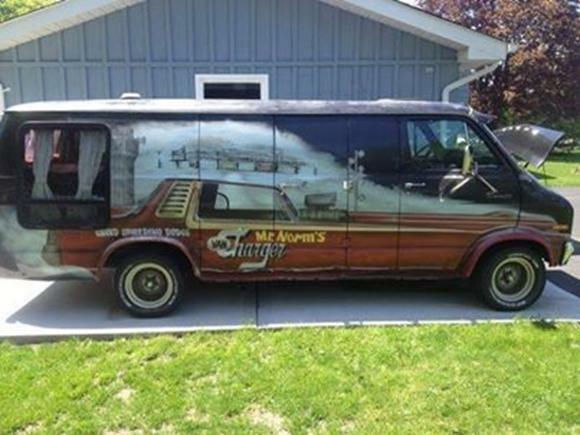 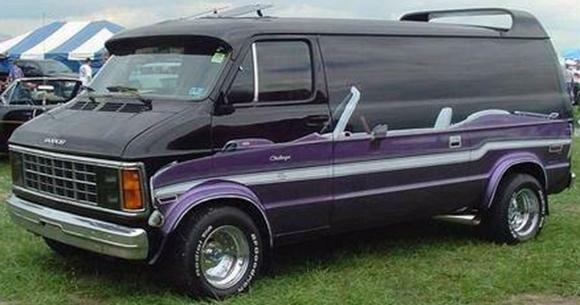 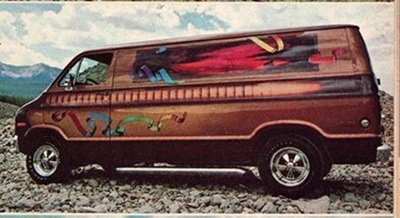 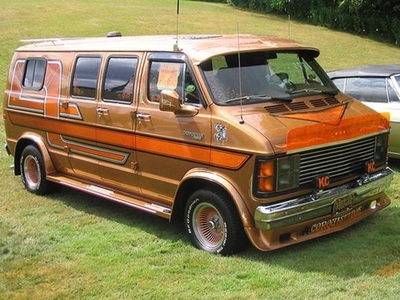 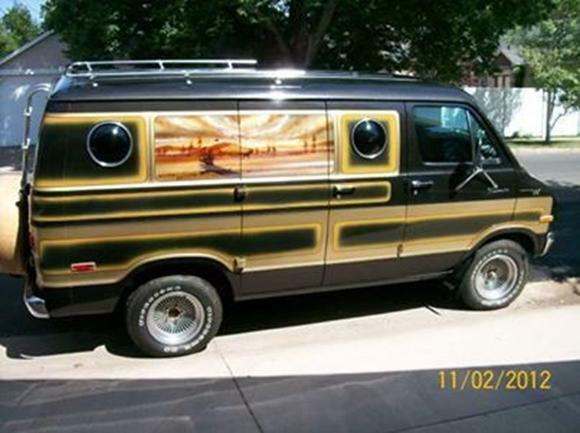 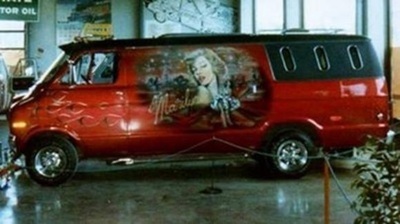 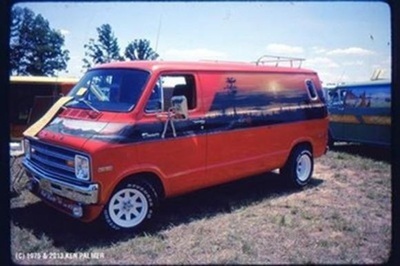 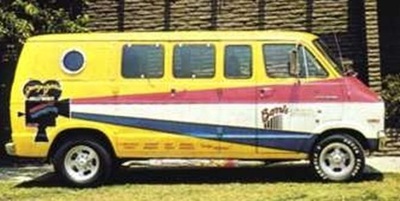 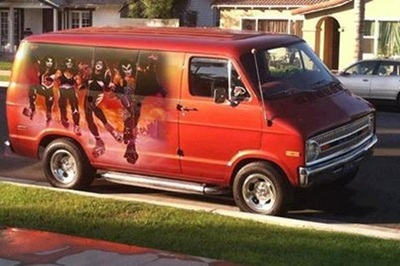 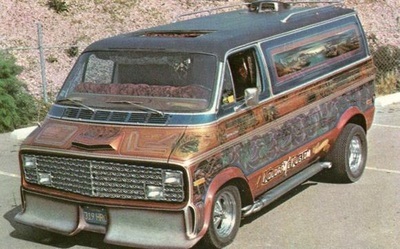 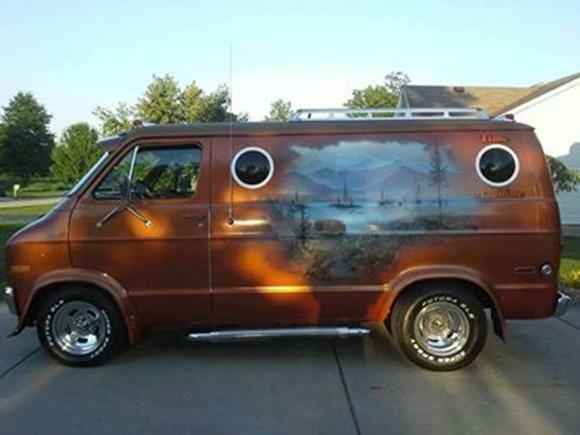 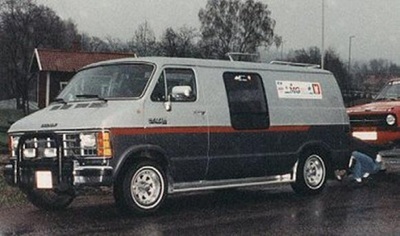 Chrysler Corporation Vans. 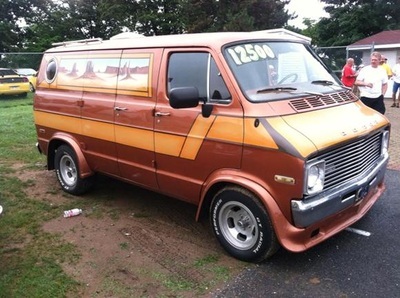 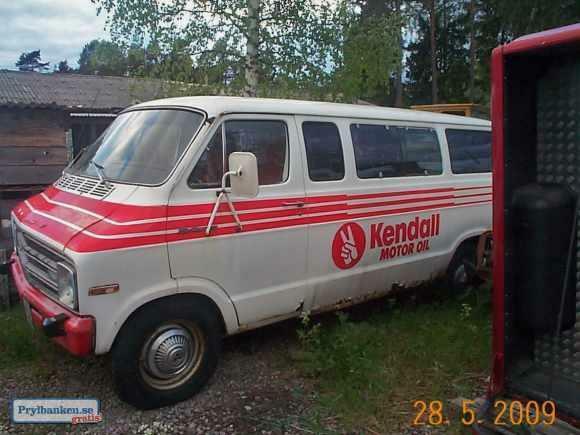 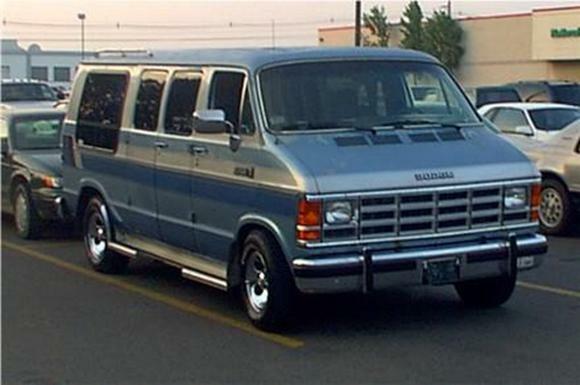 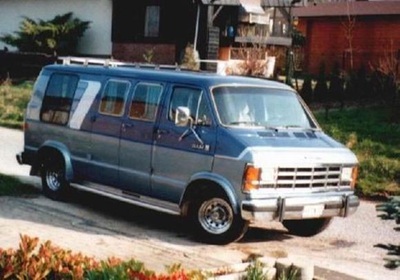 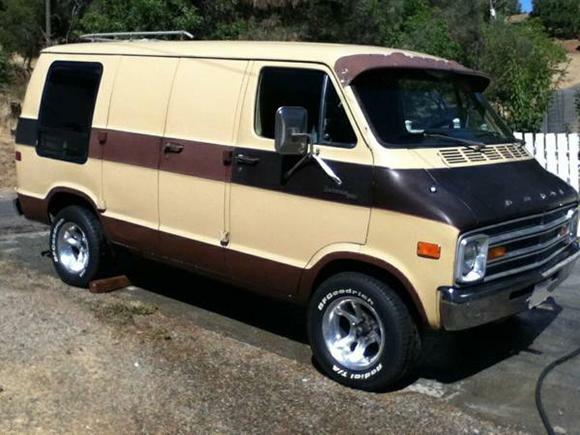 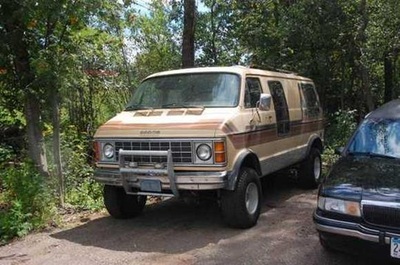 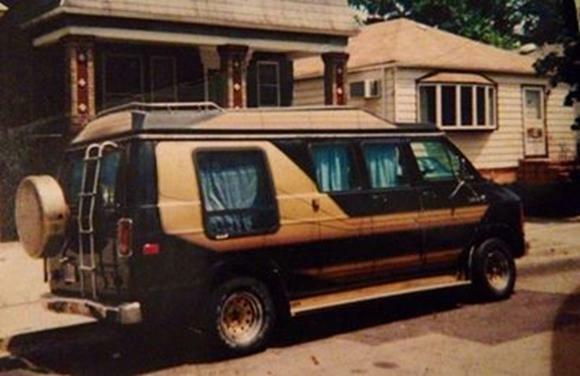 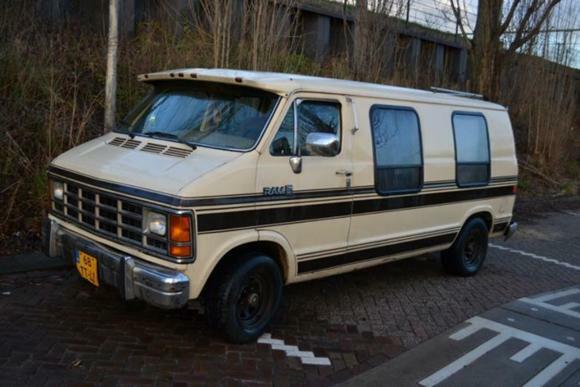 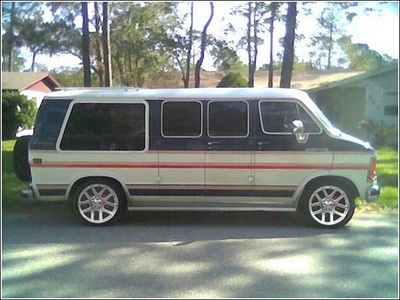 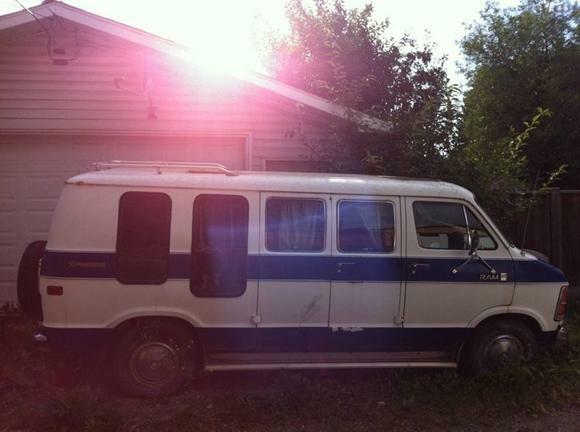 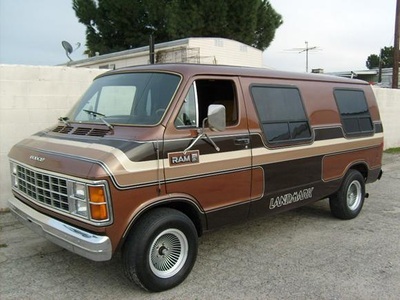 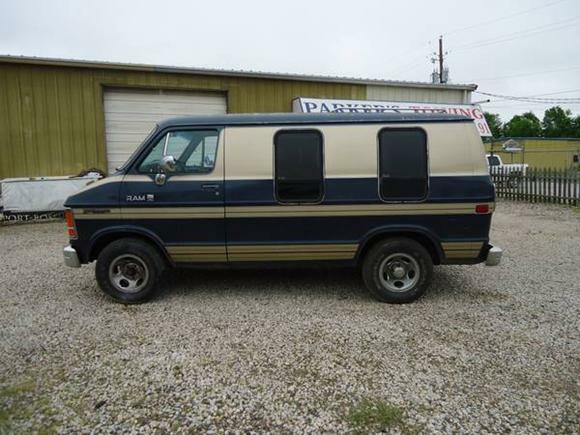 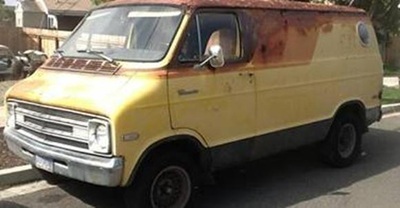 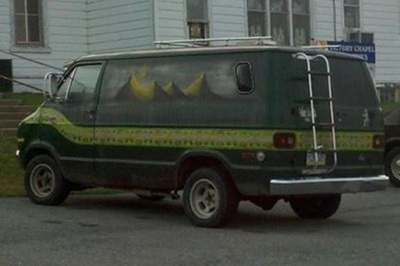 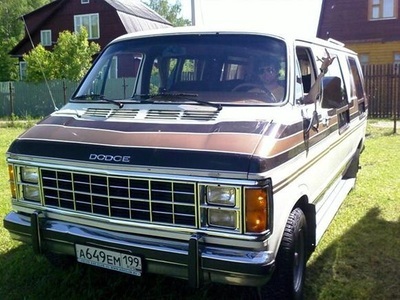 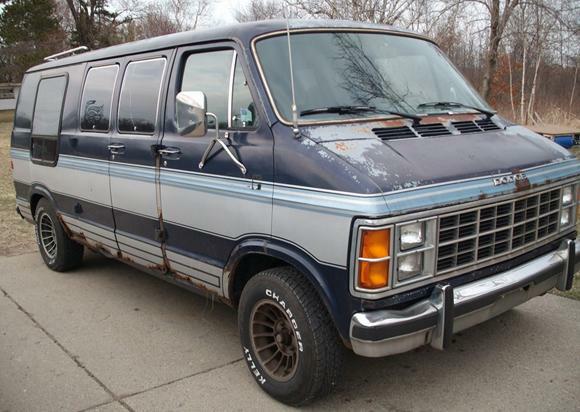 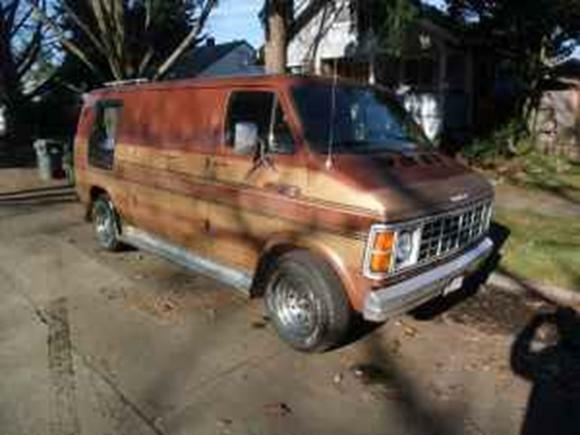 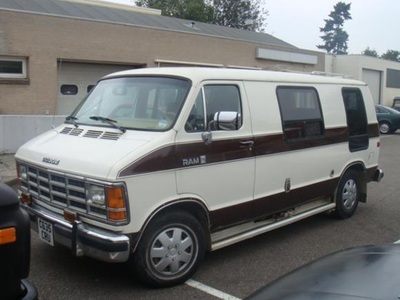 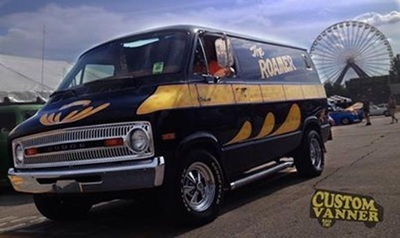 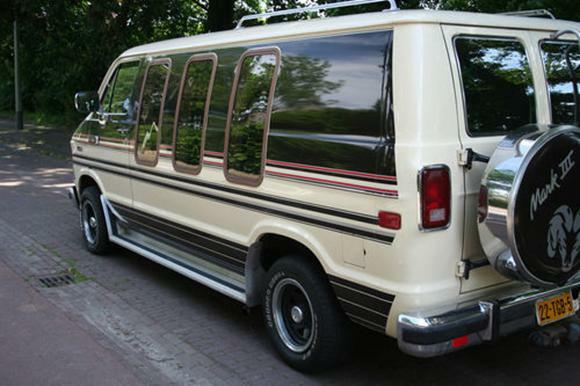 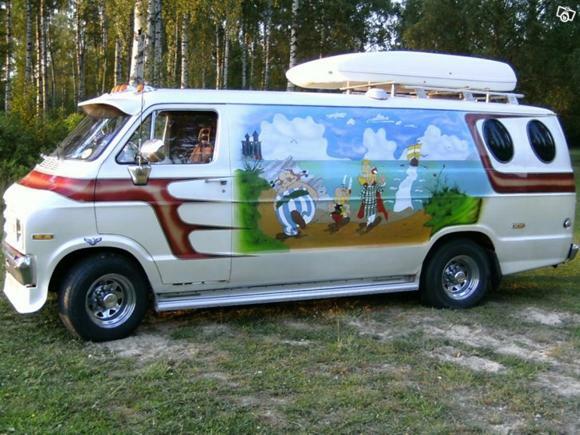 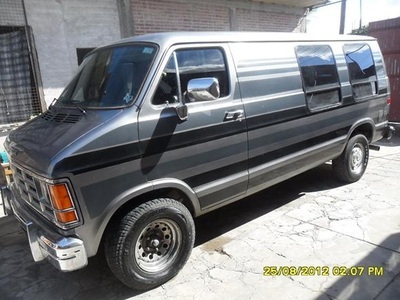 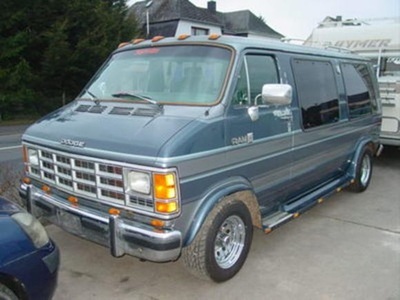 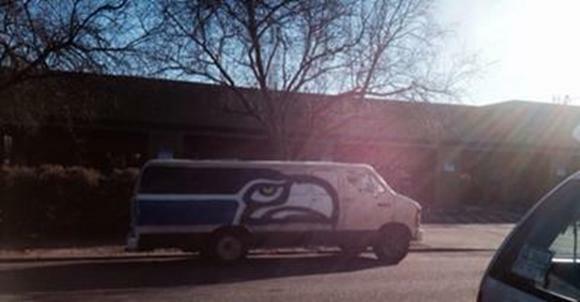 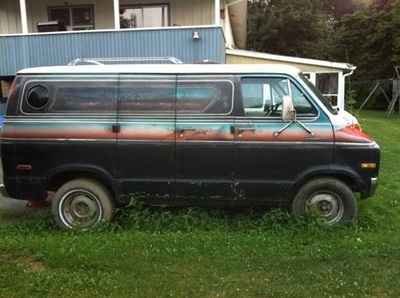 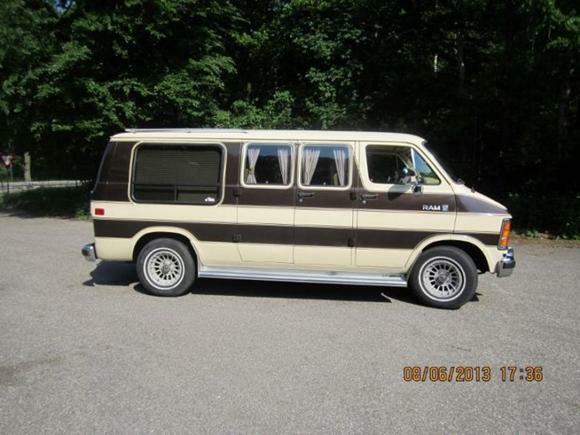 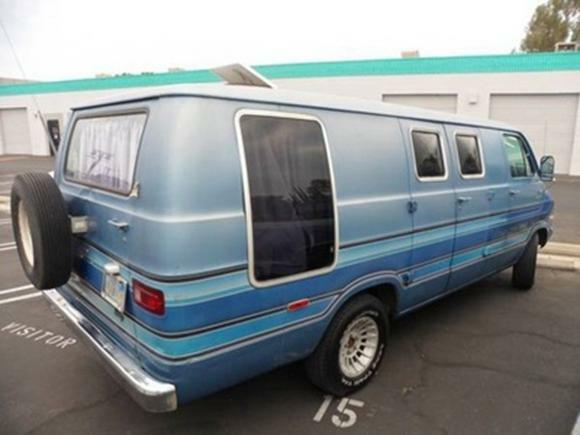 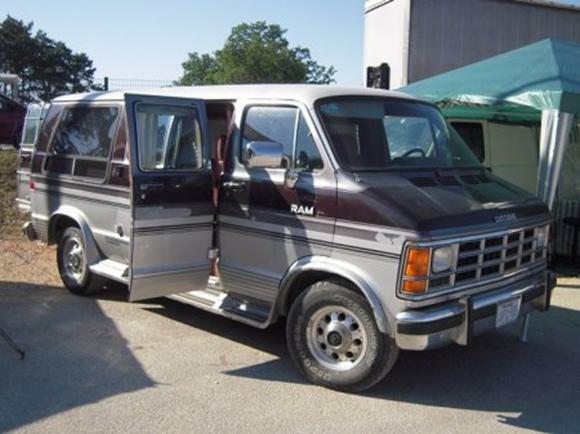 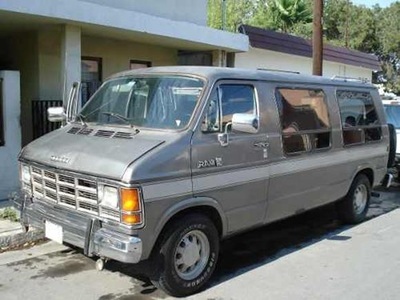 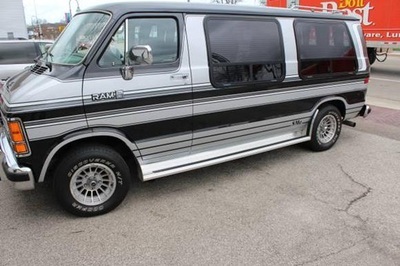 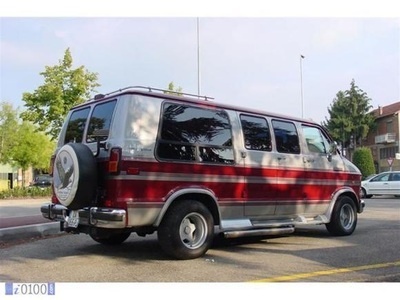 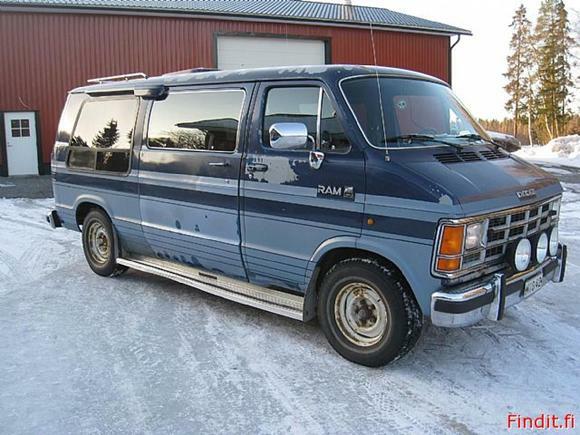 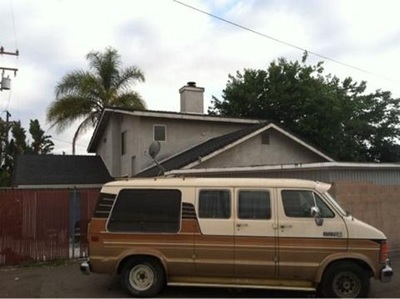 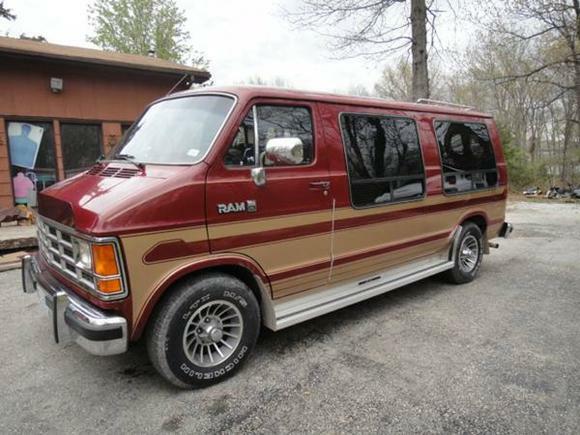 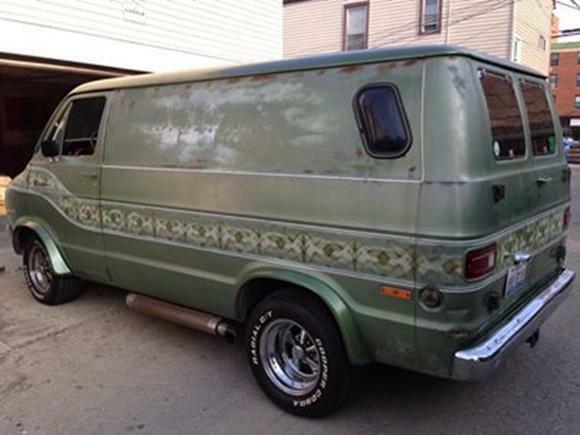 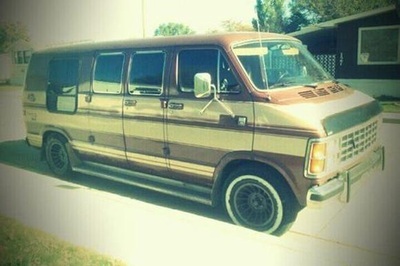 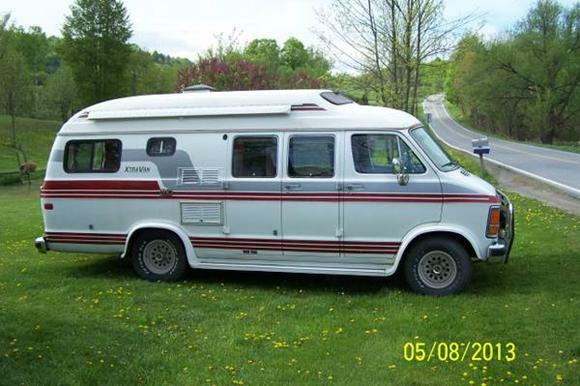 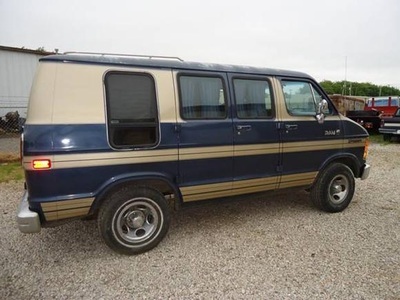 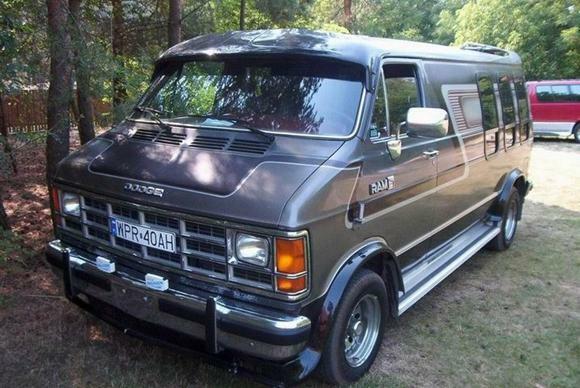 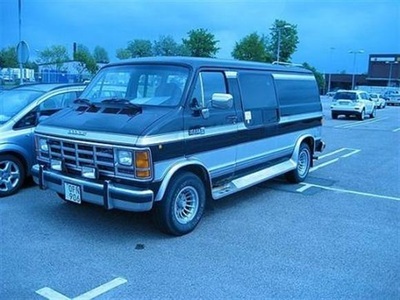 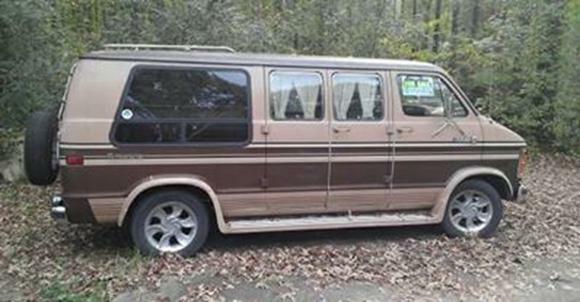 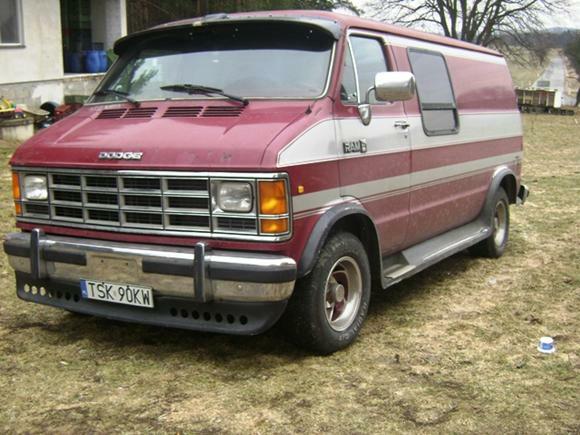 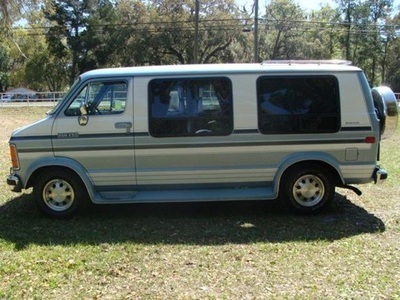 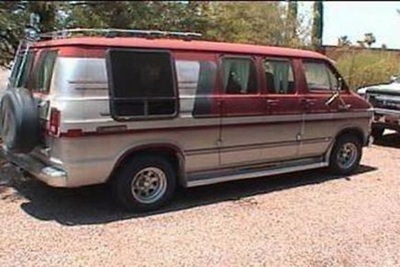 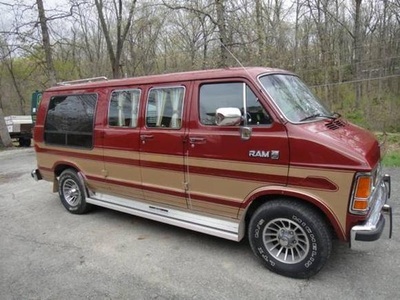 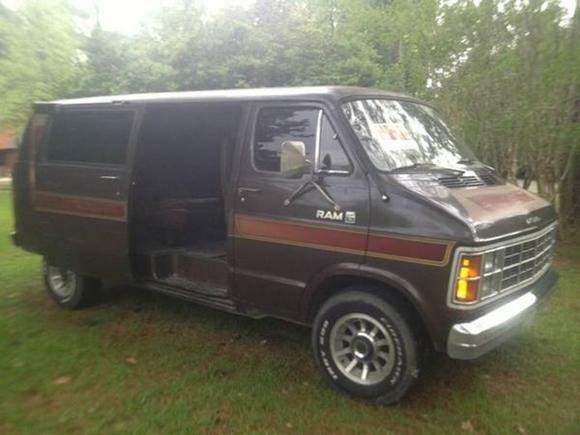 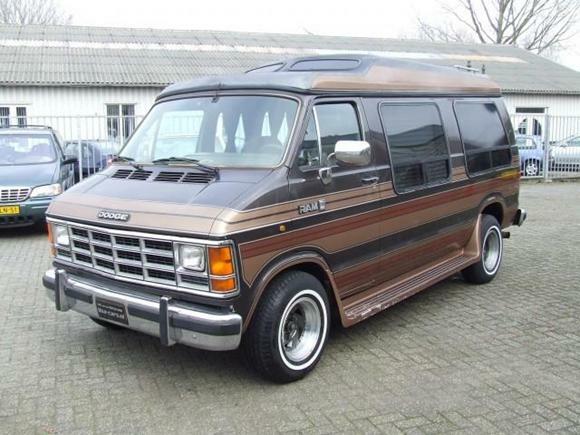 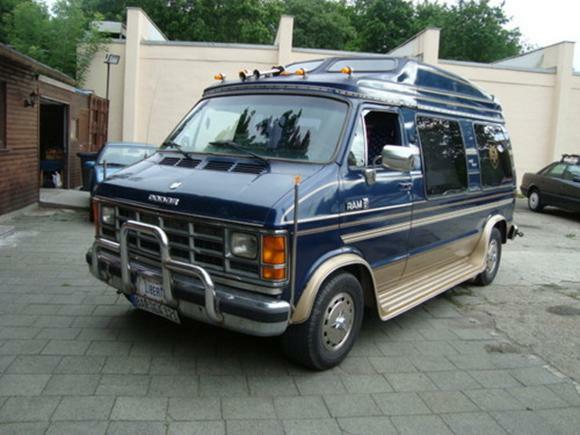 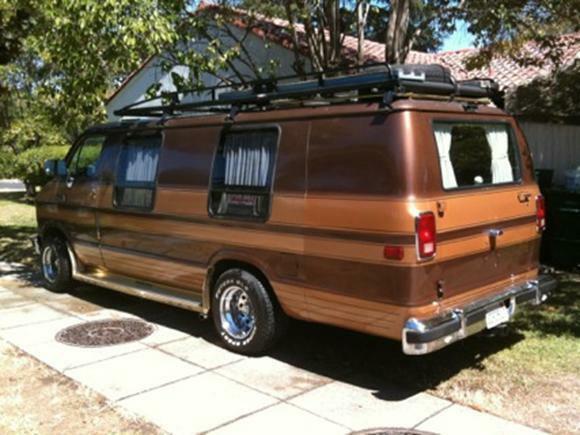 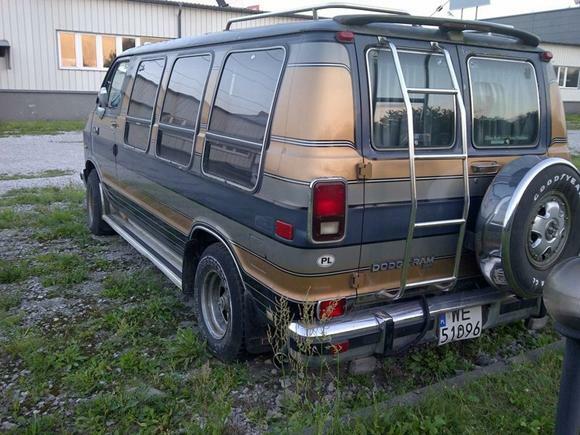 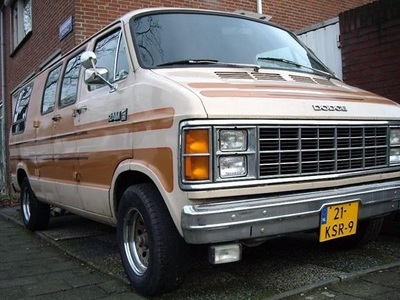 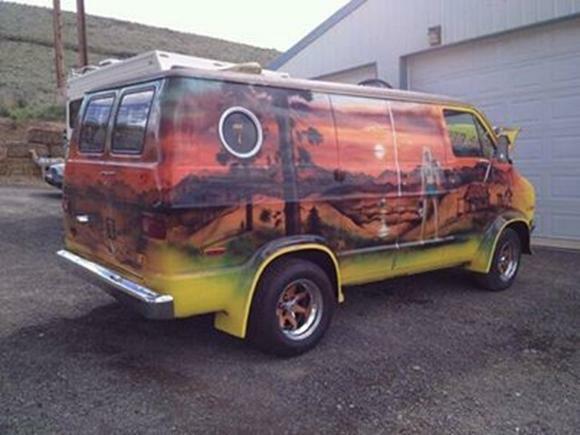 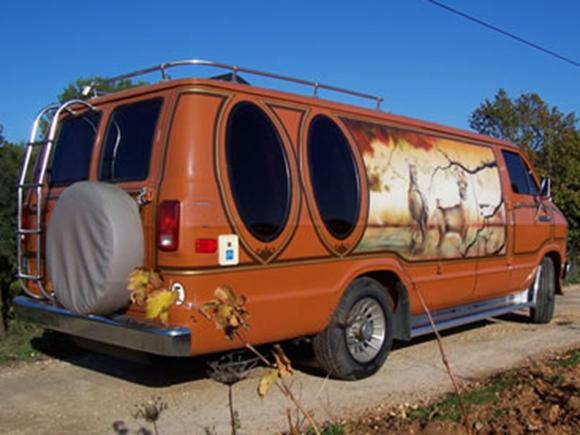 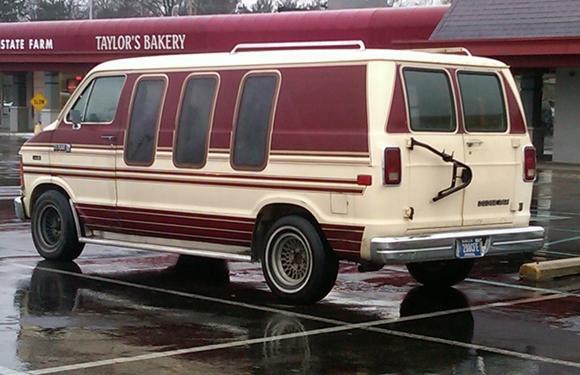 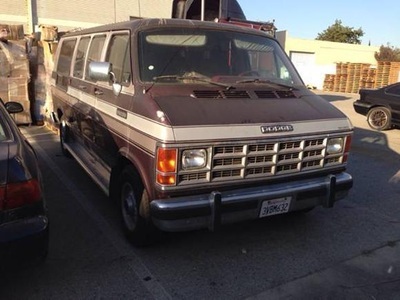 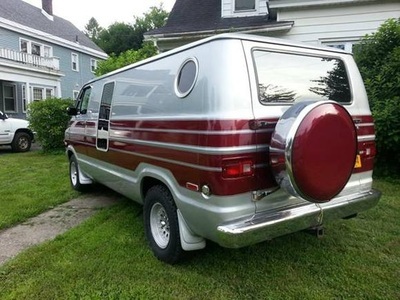 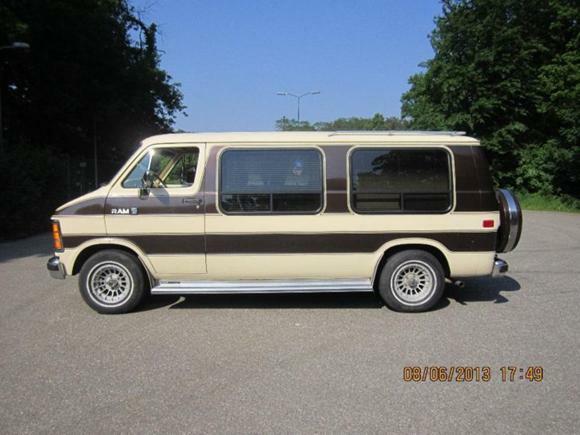 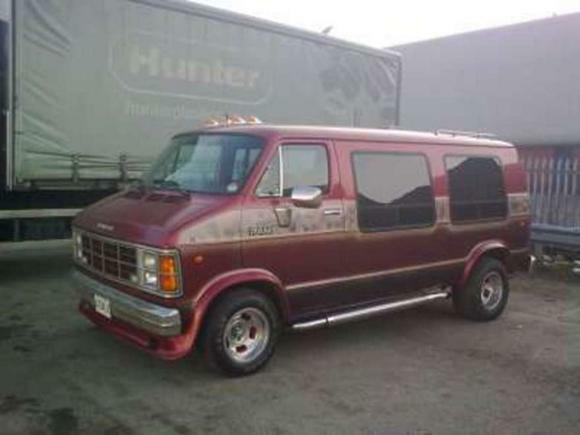 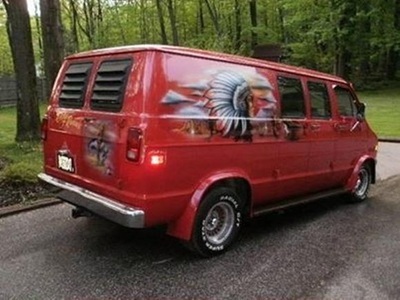 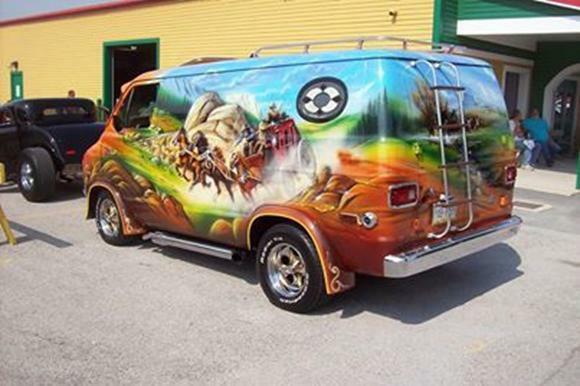 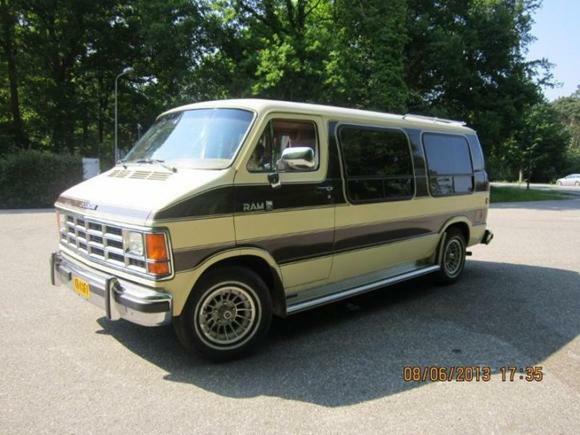 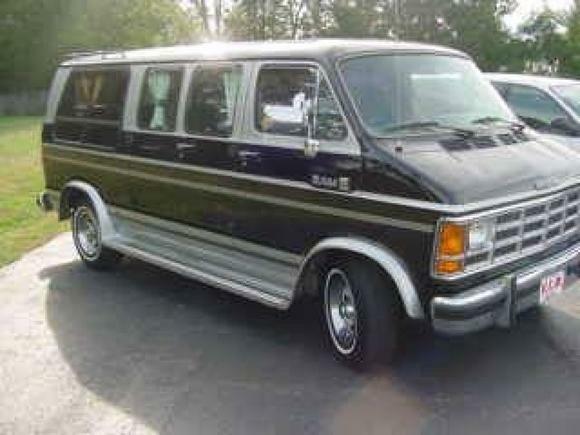 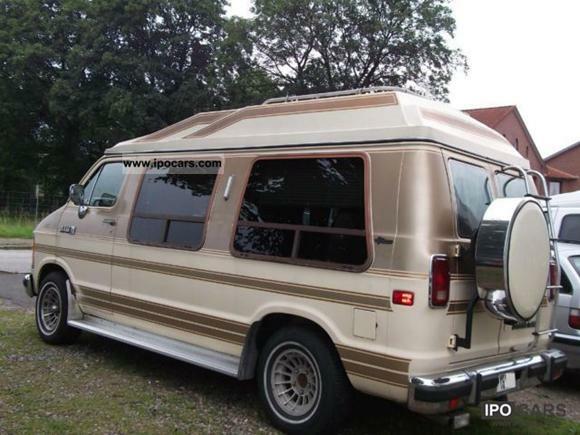 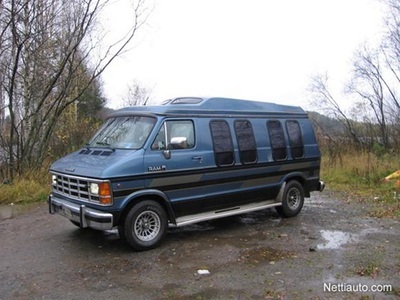 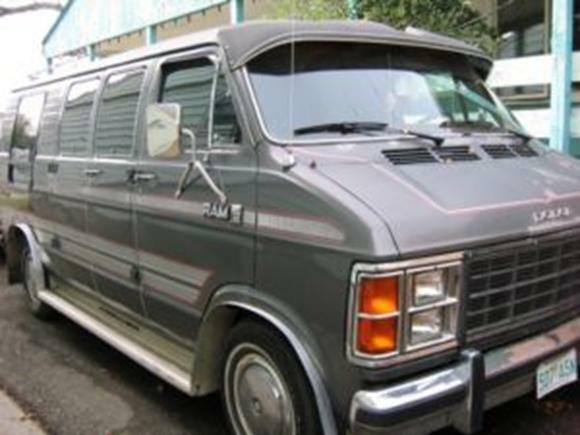 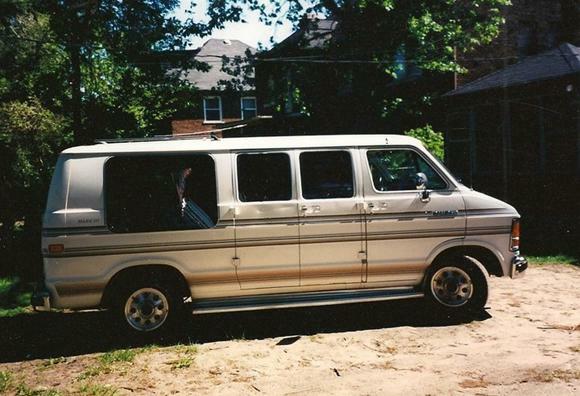 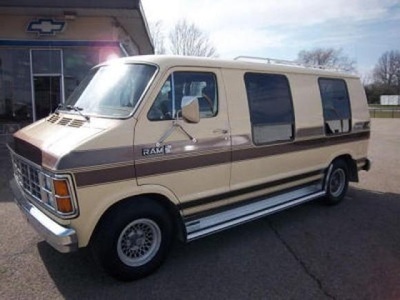 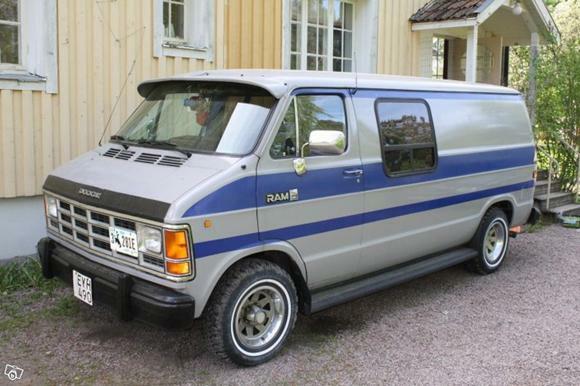 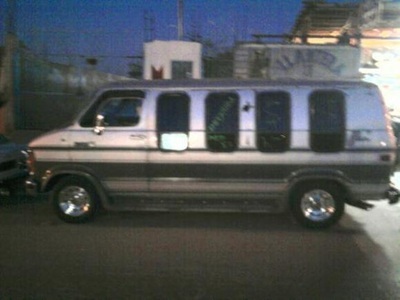 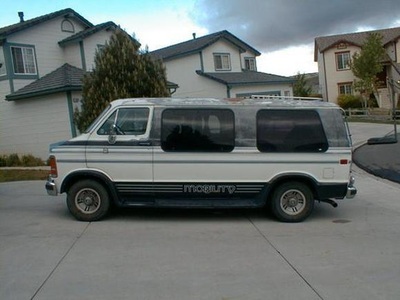 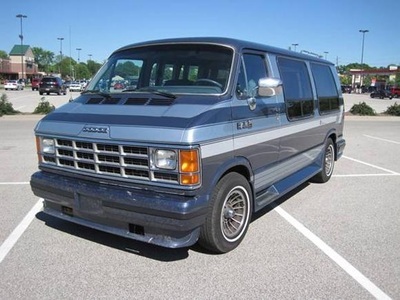 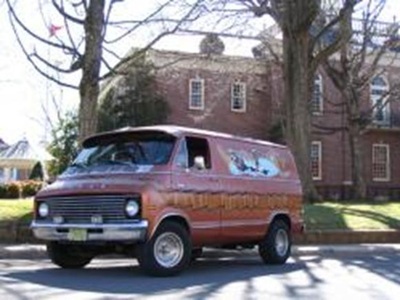 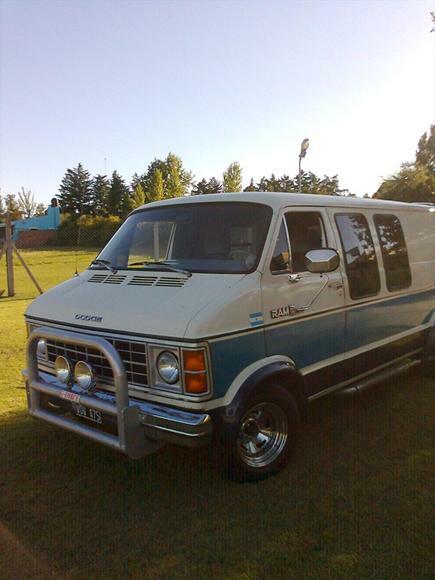 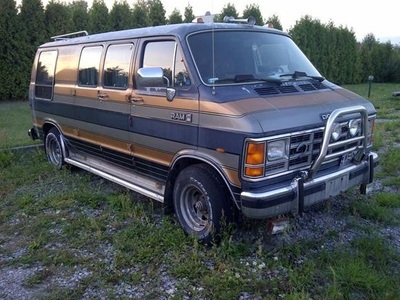 Dodge vans and Dodge and Plymouth wagons are in three different series and two different wheelbases. 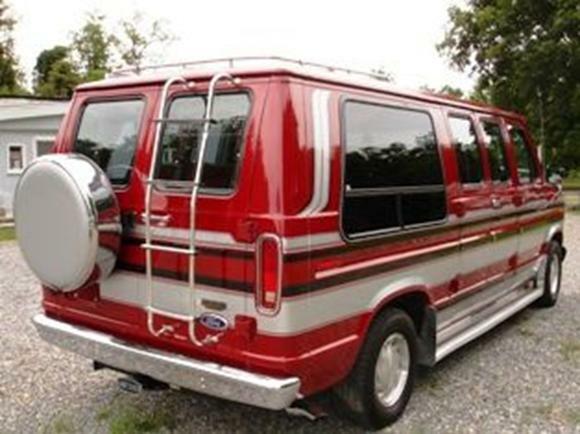 The B150 van is available in either a 109 or 127-inch wheelbase model; both wheelbase carry either a 4,700-pound GVWR or a 5,300-pound rating. 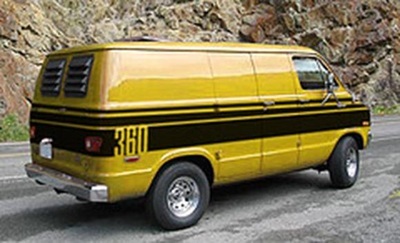 B150 wagons are rated at 5,300 and 6,010 pounds of GVWR. 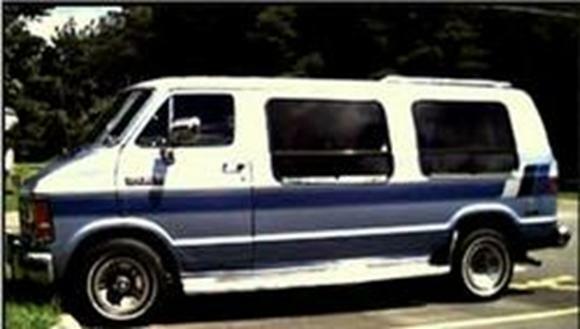 5.2-liter engine (with either two or four-barrel carburetor), three-speed automatic transmission, and 3.2 or 2.9 rear axles. 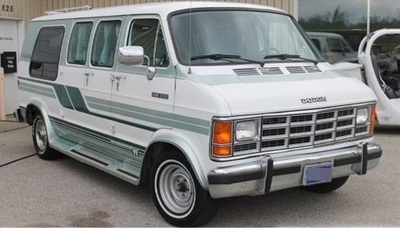 In the B250, however, drivetrain combinations vary according to GVWR. 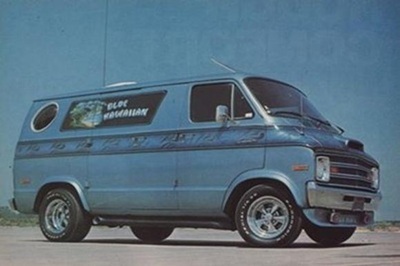 Only one wheelbase- 127 inches- is offered in the B250 wagon (and in the B350 vans and wagons, as well). Available in the same GVW ratings as the B250 van, the wagon is available as either a passenger van or a passenger-van shell. 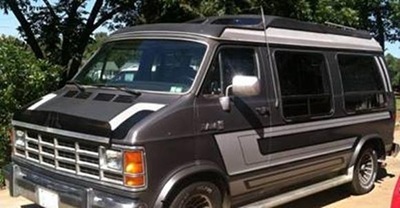 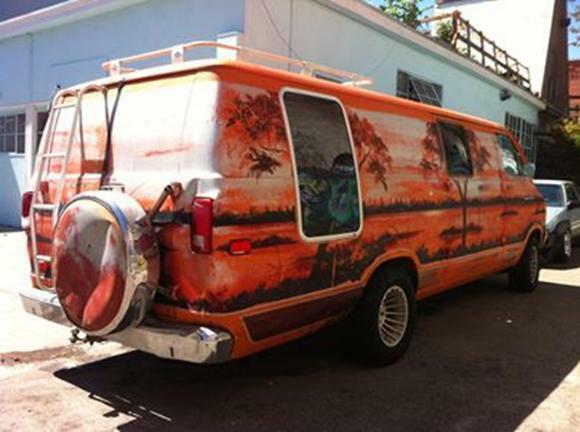 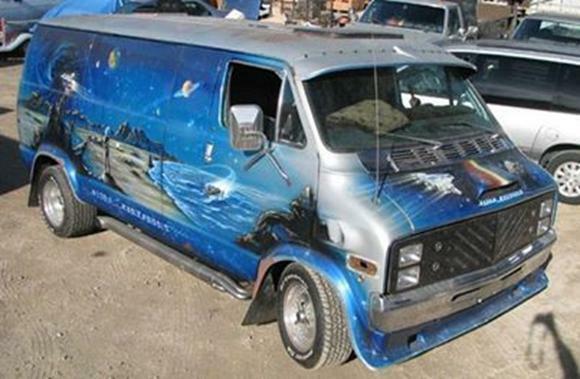 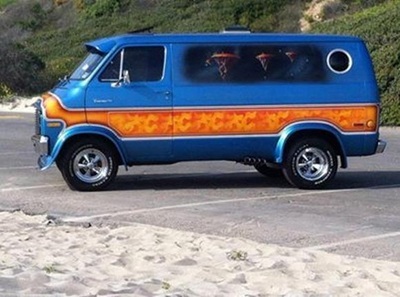 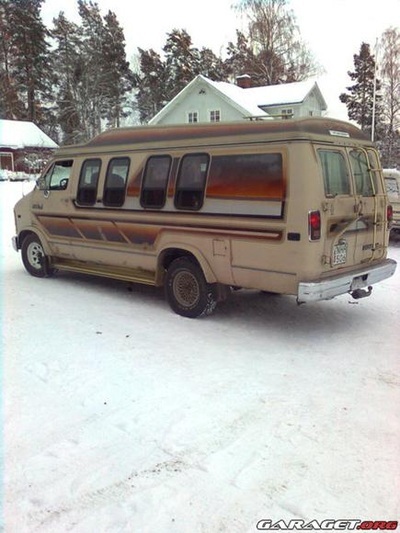 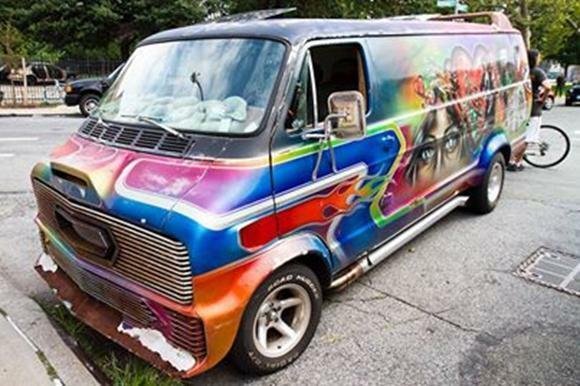 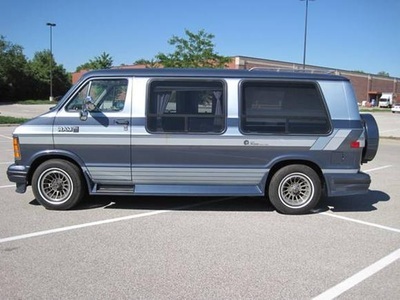 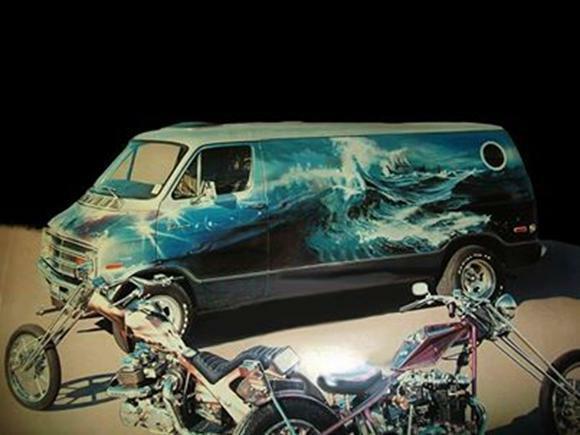 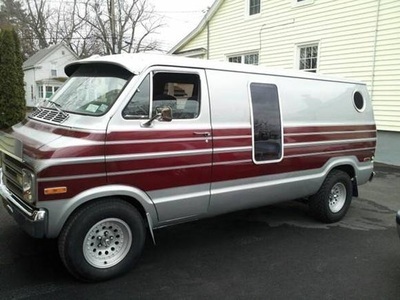 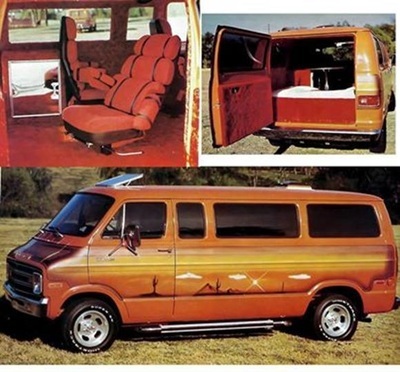 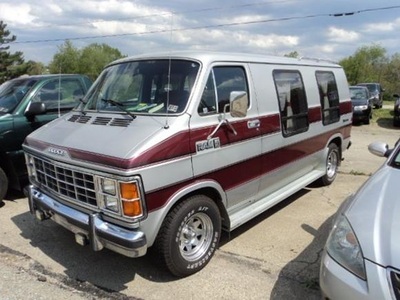 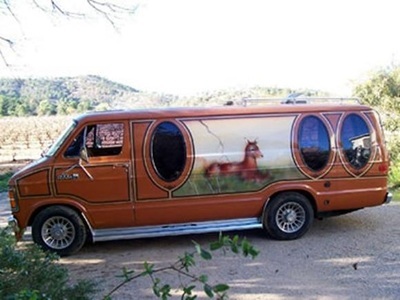 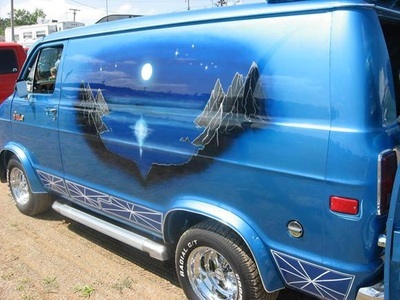 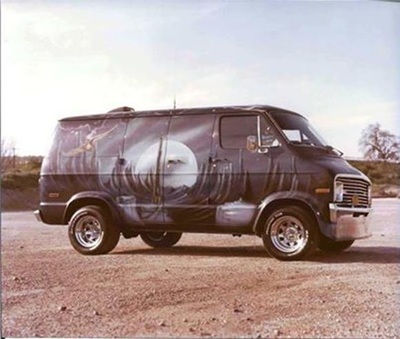 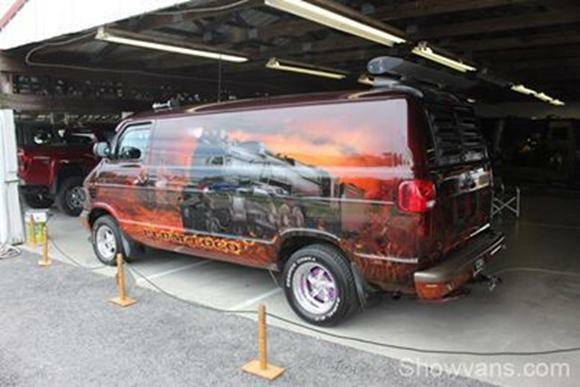 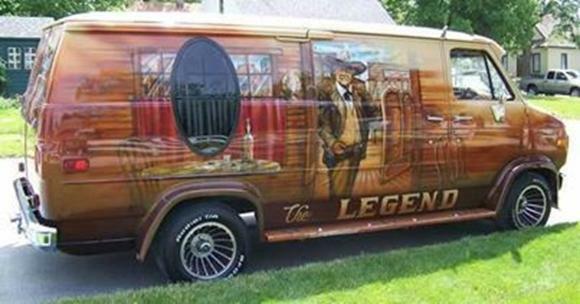 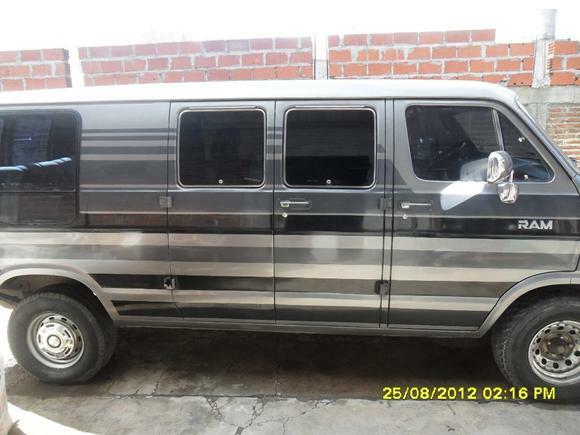 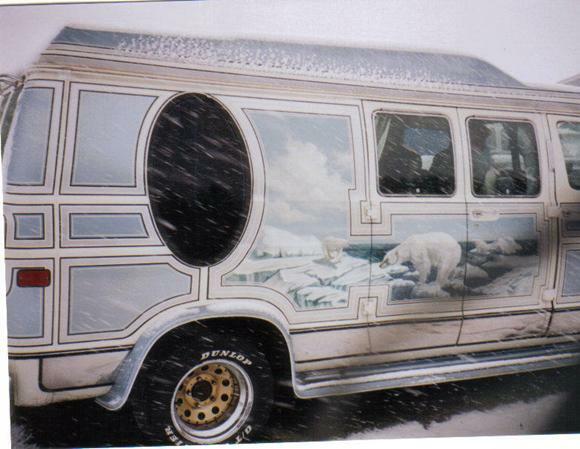 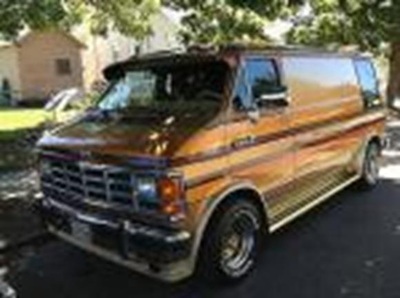 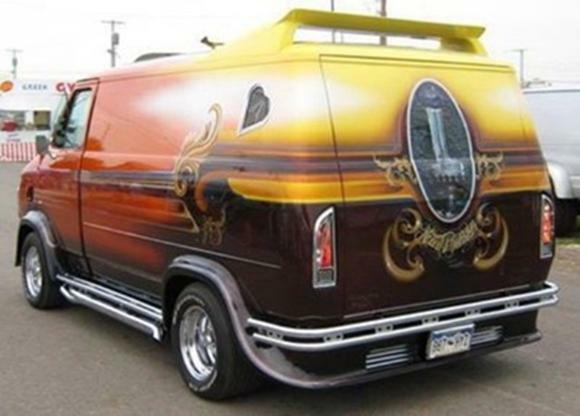 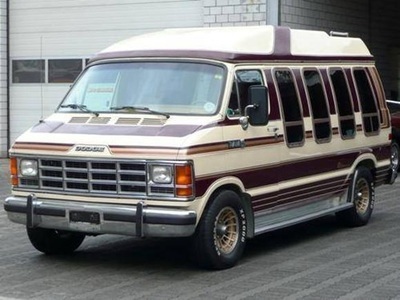 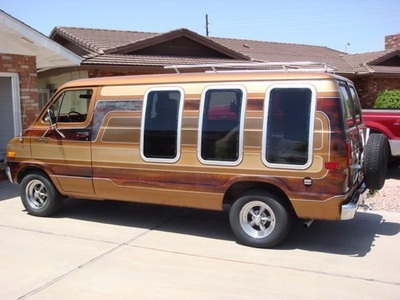 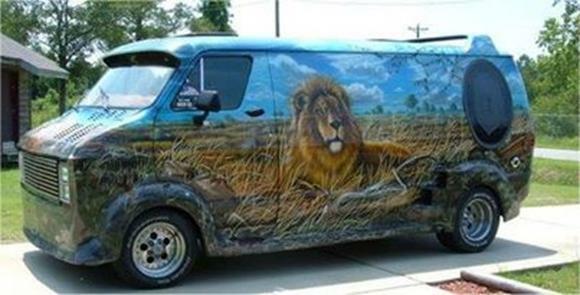 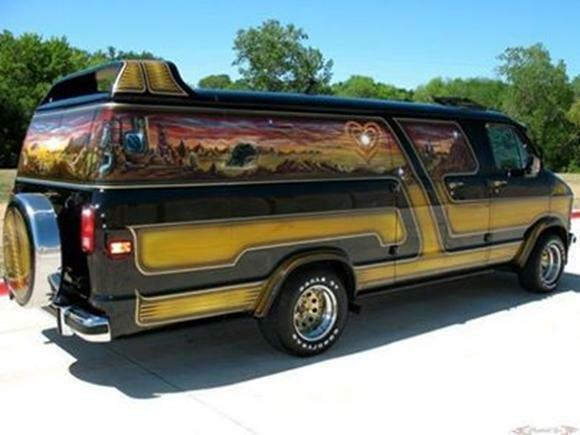 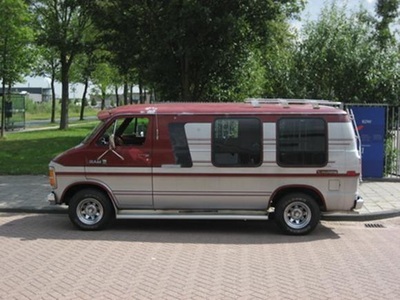 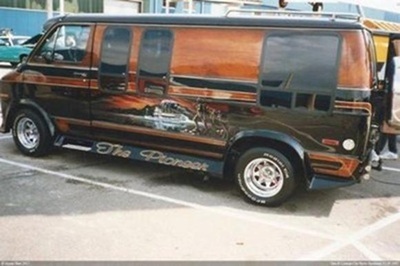 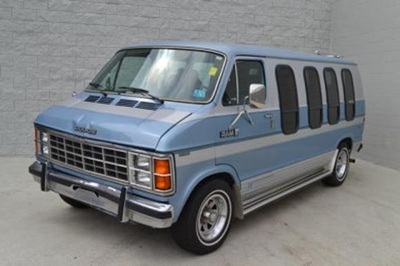 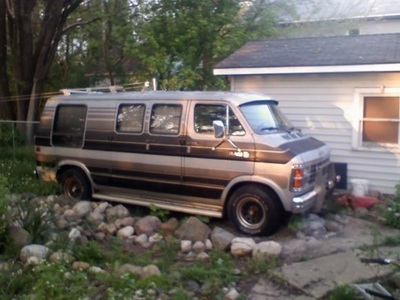 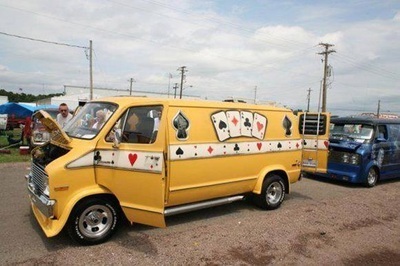 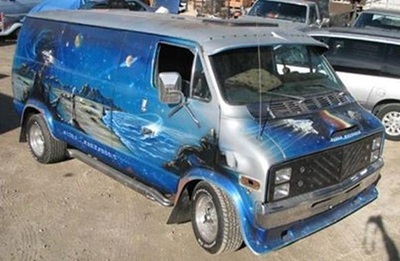 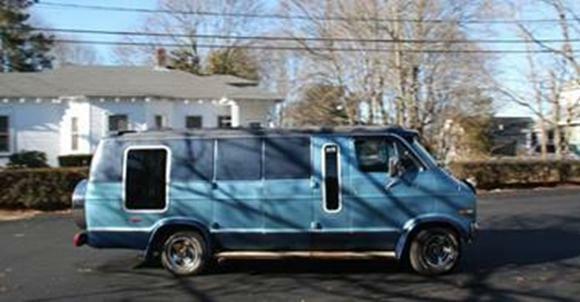 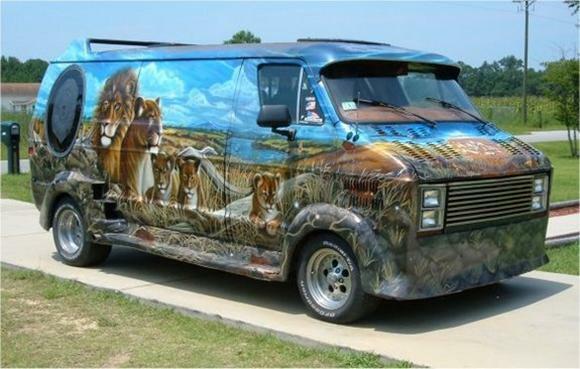 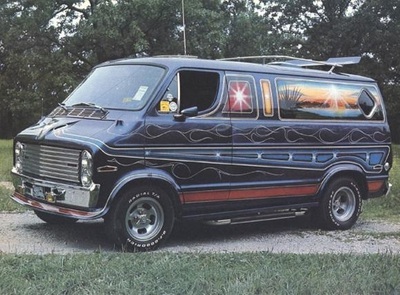 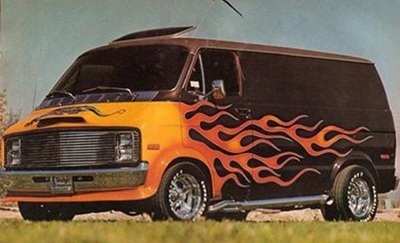 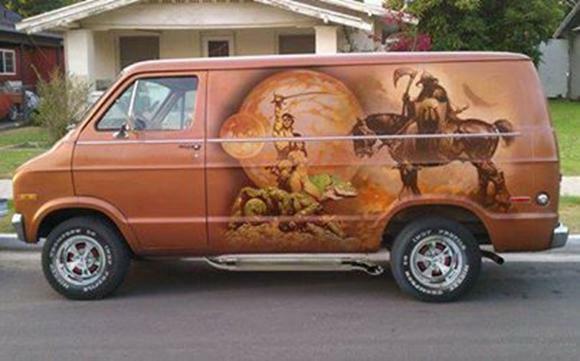 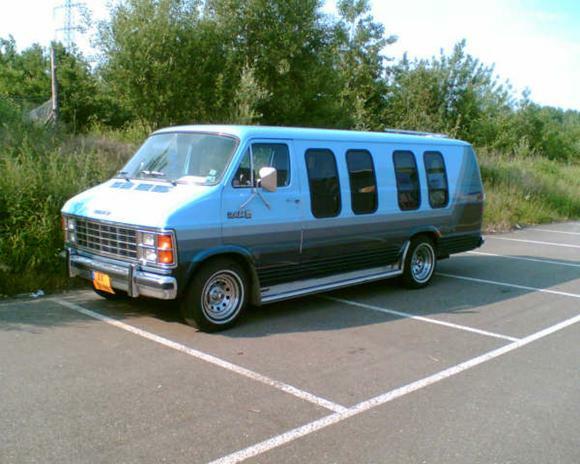 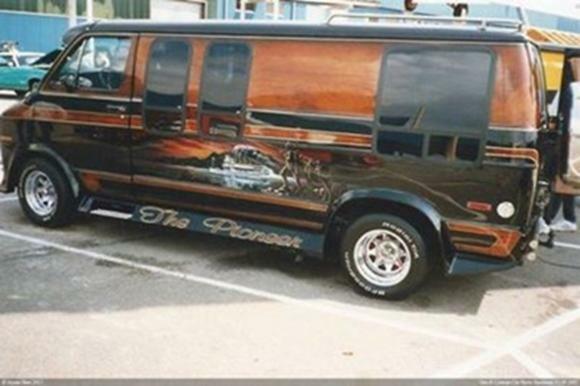 The B350 van is also available as either a complete van or shell; the complete van is available in 7,500 and 8,510- pound models, while the shell offers both those and a top-of-the-line 9,000-pound-GVW rating. 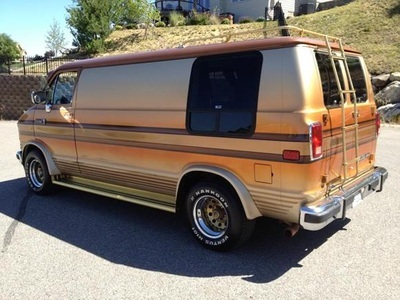 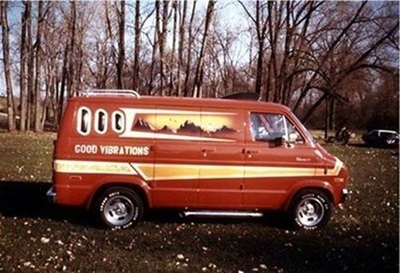 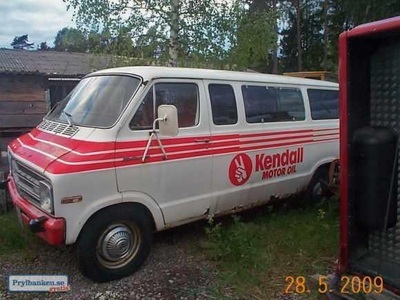 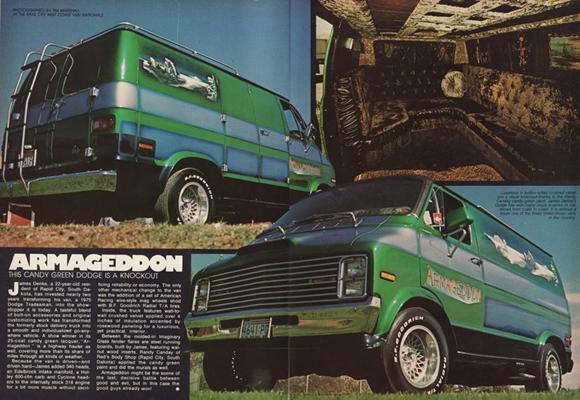 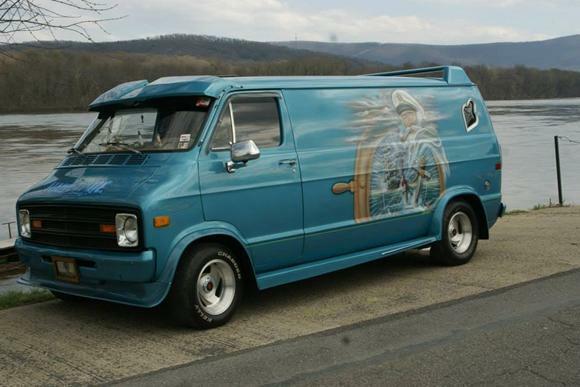 At 7,500 pounds GVWR, both the complete van and shell have a 5.2-liter with V8 and four-barrel carburetor, three-speed automatic, and 3.5:1 rear axle. 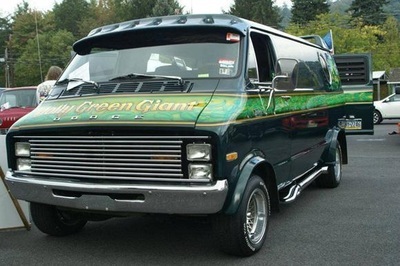 At the 8,510-pound level, both versions of the van modify the previous drivetrain somewhat by adding an optional 5.9-liter V8, boosting the standard axle to 4.1:1, and retaining the 3.5 axle as an option. 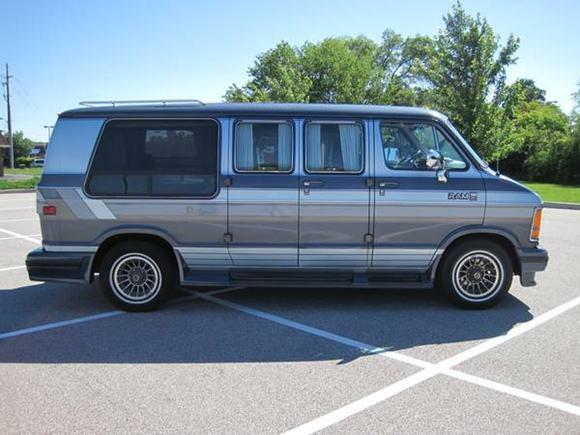 And, at the 9,000-pound rating, only the axle ratio, dropping all except the standard 3.7 ratio. B350 wagons continue the complete passenger van shell offerings, with the complete wagon available only in the 7,500-pound GVWR range. Both 7,500 pound GVWR models have identical drivetrains: standard 5.2-liter V8 with two-barrel carburetor (and a four-barrel-carburetor engine optional), three-speed automatic transmission, and 3.5:1 rear axle ratio. Some factory-installed options include a 36-gallon fuel tank, heavy-duty engine cooling, transmission-oil cooler, air conditioning, heavy duty batteries, and others. From mid-'74 up to '78 the Dodges were available with 6.6L (400cid) and 7.2L (440cid) V8 engines as well.